Lyza and I are excited to invite you to an intimate night of beautiful music and great food and meditation.... Tuesday 19 September 2017, experience a taste of Tibet with the amazing music with Tenzin Choeygal and Taro Terahara. 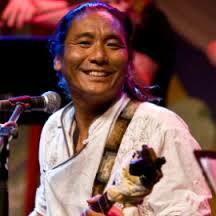 Tenzin Choegyal Tenzin draws on his tradional Tribetan roots to create original compositions which uniquely express his cultural Lineage. He was born to a nomadic family in southwest Tibet, escaped into Nepal from the Chinese occupation and was raised in the Tibetan refugee community in Dharamsala, India. It was there, where His HTashi Lhujhnpo Monoliness the Dalai Lama actively encourages his people to preserve their culture through language, religion and arts, Tenzin first began to explore his musical talents. Taro Terahara is one of the leading musicians in the thriving and highly competitive Indian classical music scene in Japan. His music comfortably spans the full range from contemplative soulful alaap (slow non-rhythmic introduction) to exciting, rhythmic jhala (fast-paced finale). He has a great command of sur (tuning) and lay (timing), with the ability to compose innovative taans and tihais on the spur of the moment, yet all of this is tempered by a beautiful humility and devotion to the mood and spirit of the raga. His music both engages the mind and touches the heart. Born in 1968 to two junior high school teachers, Terahara had a relatively free childhood. From an early age he enjoyed playing flutes and whistles while walking home from school, and later making his own flutes and taking part in school performances. At the age of 10 he began playing trumpet in the athletics carnival brass band, having been chosen for trumpet by a game of janken (rocks-paper-scissors). He continued playing trumpet for ten years or more, joining high school and university jazz bands. At the age of 17 his musical outlook started to change when he was “shocked” on coming into contact with Sufi music and dance such as Nusrat Fateh Ali Khan (Pakistani Qawalli singer) and the Mevlevi Dancers (Sufi Whirling Dervishes of Turkey), as well as other than non-Western music. 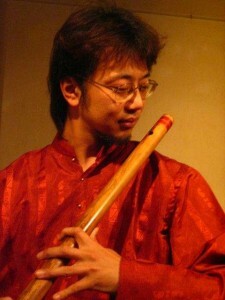 He was also greatly influenced by Keith Jarrett’s “The Koln Concert”, and remembers being inspired that “just one person could perform such beautiful music for a full hour through pure improvisation.” While continuing in the university jazz band, he also joined the university gamelan group, “Dharma Bhudaya”, and became ryuteki (a type of Japanese flute) leader in the university Gagaku orchestra (Japanese court music). 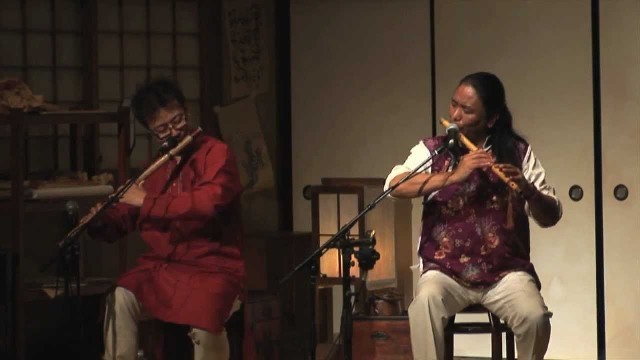 Taro Terahara has performed Indian classical music across the whole of Japan as well as in India. 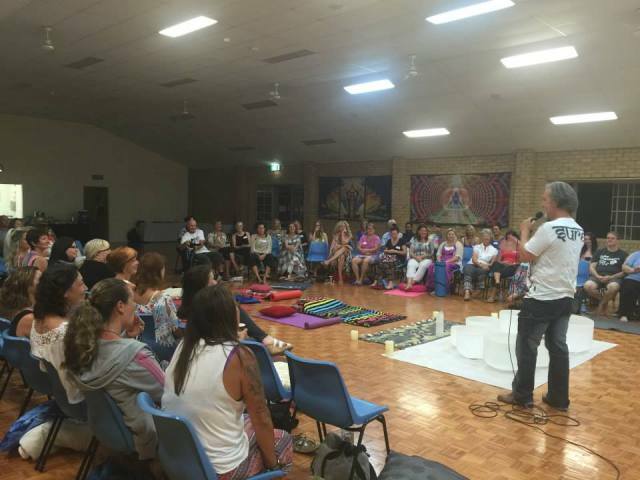 He has visited Australia for concerts most years since 2006, performing at Woodford Folk Festival, Festival of Tibet, and numerous concerts around the country. Moreover, he has proved his versatility by collaborating in performances with Odissi dance, Arabic and Chinese music, jazz, etc, with fabulous results. 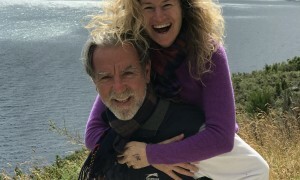 He also teaches bansuri and Indian classical vocal , as well as teaching Indian music to students of various musical instruments such as violin and bass. 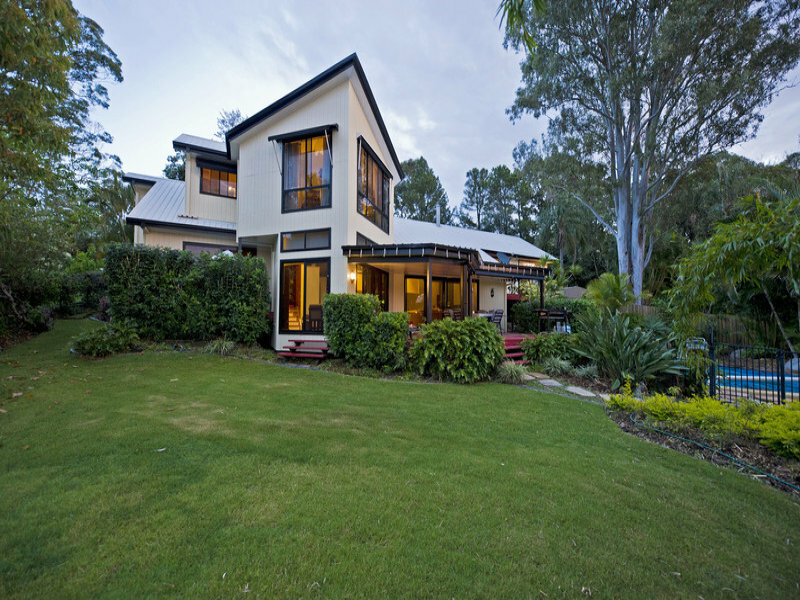 trained at Gaden are highly knowledgeable in both fields.